Aura Pottery is a one of a kind pottery farm in India. 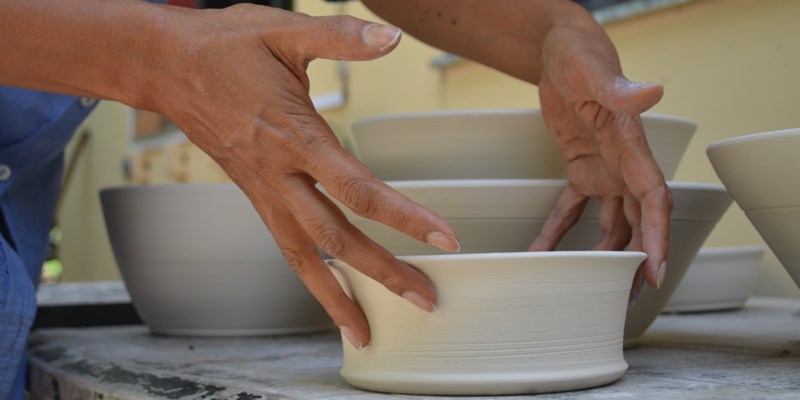 It offers an intensive learning experience to budding potters, along with regular pottery retreats and other programs for those looking for a wholesome pottery experience. Nestled in the lush green fields of Punjab (near Chandigarh), Aura is not a pottery studio which produces typical ceramic pots in India. 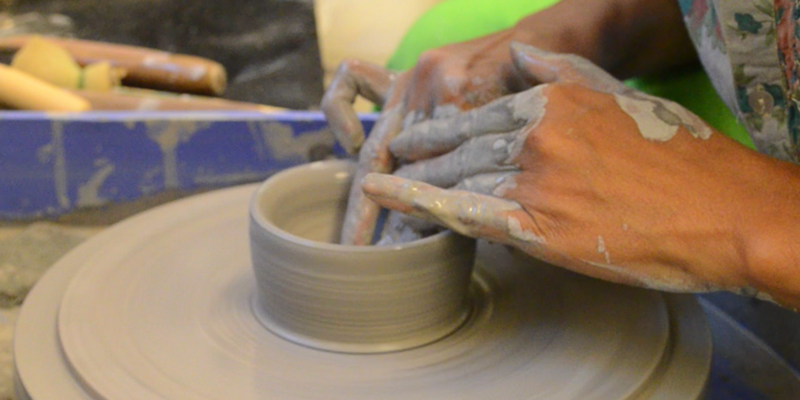 It is a modern, contemporary and a well-equipped pottery studio, yet warm and comfortable for a long stay program. Among places to visit near Chandigarh, Aura is a definite attraction if you have a creative bent of mind and are looking to discover yourself. Conventional pottery in Indian villages is different from what we practice at Aura Pottery. Our focus is high-fire stoneware, something that is practiced widely globally. Visitors to Aura are groups/ individuals who are looking for pottery courses abroad and want to participate in programs that suit their schedule and availability. At Aura, you are offered a comfortable stay, healthy organic meals, and a peaceful get-away from everyday life.
" Thank you so much for this experience. I'll soon be back with some more light. " " Spending time at Aura was a wonderful experience. As an artist I would love to come back and add to the 'Aura' that has been created in this area! All the... "
" Thanks to Aura for we re-discovered ourselves - the artist within. "